The 14th edition of China International Tire Expo will open its ‘13th largest show’ in the new venue, Shanghai World Expo Exhibition & Convention Center, in September 26, 27 & 28, 2016. It is very much encouraging that CITEXPO has been expanding annually in the past thirteen years since it was established in 2003. Along the growing path of CITEXPO, moving the show to a larger and more modernized venue allows CITEXPO continue its healthy growth physically and commercially. The year of 2016 is certainly significant for the show as it represents the start of a new era. According to the Organizer, Reliable International Exhibition Services Co., Ltd., the new venue will accommodate nearly 400 quality international and domestic exhibitors in 40000 sqm exhibition space, which is an 20% increase from the last year figures. Industry leading brand names such as Stamford, Techking, TWG, Guizhou Tyre, Triangle and many domestic and foreign manufacturers and suppliers in the tire related industry, including tires, tubes, wheels, tire and wheel maintenance equipment, tire accessories, tire production products…etc, will showcase their latest products and services to the buyers coming from over 110 countries worldwide. Stated by Mr. Wilko Fong, Director of CITEXPO, the show is one of the leading trade show in the global tire industry. CITEXPO is the most internationalized trade show within the region that the exhibitors and visitors travel to China from over a hundred of countries and regions around the world. Making the show the best business platform for the exhibitors and the visitors is always our top goal. In the past year, broadening our propagation horizontally in the worldwide regions have been our major duty. 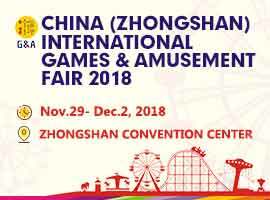 By spending our best effort in attracting the high quality industry professionals to our show, building up the best environment and atmosphere for the industry players to meet, deal, exchange information in CITEXPO, are what we will continue to do in the future. We will also move forward with the "Belt and Road" strategy in order to take the advantage of this boosting cross countries economy trend. We look forward to another successful show of CITEXPO 2016. Moreover, the organizer will continue to bring from Germany one of the most famous events in the automobile manufacturing industry, Automotive Testing Expo, into China. Automotive Testing Expo will be held in the same week with CITEXPO. 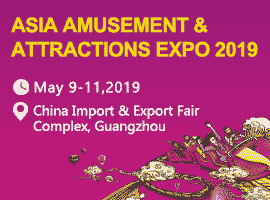 Visitors who pre-register online at www.citepxo.com.cn will enjoy free admission, fast registration line, a copy of the show catalog and a limited edition souvenir.